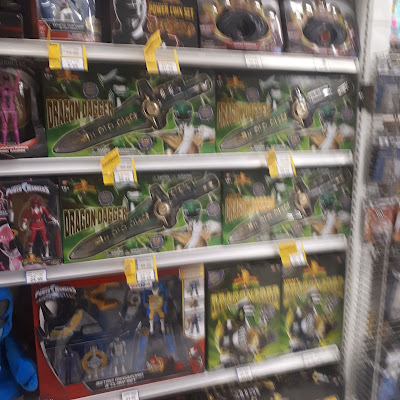 A recent trip to a Toys R Us store where walls of Dragon Daggers are on sale for half their original price. I thought the Green Ranger was supposed to be the popular one. Surely, his merchandise should be selling out like hot cakes.